Description: This cobweb Halloween card template is filled with orange background with tiled pumpkins. A cobweb is in the middle of the page. 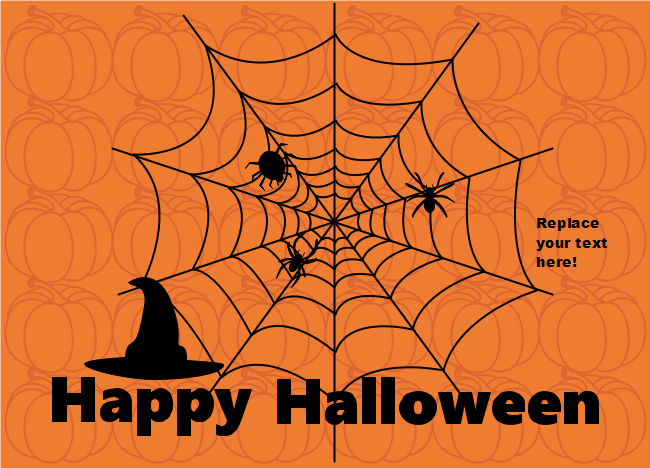 Personalize your own Halloween card with this template for replacing some elements with Edraw.